Mooi Naturals Velvetty Vetiver moisturising cream is a luxuriously non-greasy,smooth and creamy moisturiser with a silky, soft texture. 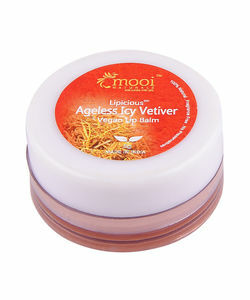 It is made with the finest ingredients available including precious natural emolients like jojoba and fractionated light coconut oil which helps to soothe and nourish dry & sensitive skin and support a more youthful, healthy complexion.Blended with the earthy, musty smell of vetiver - much like the smell of a damp forest floor,the velvetty cream reduces wrinkles and stretch marks,lightens the mood and relieves from stress and anxiety. 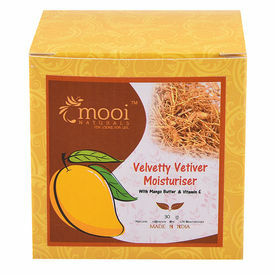 Mooi Naturals Velvetty Vetiver moisturising cream is a luxuriously non-greasy,smooth and creamy moisturiser with a silky, soft texture. It is made with the finest ingredients available including precious natural emolients like jojoba and fractionated light coconut oil which helps to soothe and nourish dry & sensitive skin and support a more youthful, healthy complexion.Blended with the earthy, musty smell of vetiver - much like the smell of a damp forest floor,the velvetty cream reduces wrinkles and stretch marks,lightens the mood and relieves from stress and anxiety. Disclaimer : Always recommend to do a patch test for compatibility prior to using any new products. All of Mooi Naturals products are vegan and cruelty free and do not contain either synthetic ingredients or ingredients of animal origin. Simmondsia Chinensis (Jojoba) Seed Oil The Vitamin E and mineral rich Jojoba oil closely resembles the skin own sebum roll. This superior grade non-greasy oil easily penetrates and protects the three layers of your skin,making it especially soft and moist.Jojoba oil is a natural antioxidant and with a natural SPF of 16. Mangifera Indica (Mango) Seed Butter Mango butter is a highly rich anti-oxidant and skin regenerative butter and is extracted from the shelled fruit kernel of the mango tree, which is a tropical evergreen. The luxurious butter is a unique skin care ingredient and is highly emollient, softening and soothing to the skin. Mango butter has protective effects against UV radiation and also helps treat skin rash, eczema, insect bites, and poison ivy. Caprylic/Capric Triglyceride Fractionated coconut oil, also called "Liquid Coconut Oil",is best known for it’s use as a beauty treatment.The Light weight oil quickly and deeply penetrates the skin and feels soft,smooth,lighter and less greasy on the skin. Candelilla (Euphorbia cerifera) Wax Candelilla wax is a great VEGAN alternative for Beeswax,extracted from the Candelilla Shrub,Euphorbia cerifera.The nutrient rich vegetable wax creates a smooth and glossy texture,glides easily on skin,gets deeply absorbed to skin and locks in moisture. Tocopherol Vitamin E,Known as tocopherol,is antioxidant rich,provides the skin with necessary moisture,for intense healing,helps to lighten and smooth the rough skin by lubricating cell membranes and encouraging cell regeneration. 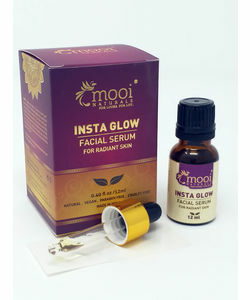 The nutrient rich oil treats wrinkles by boosting collagen production. Vetiveria zizaniodes (Vetiver) Root Oil Vetiver (Chrysopogon zizanioides),also known as "khus", is anti-oxidant rich and is extremely nourishing and hydrating, helps to soothe dry skin,reduces the appearance of dark spots, evens out skin tone.The earthy, spicy scent of vetiver helps ease the mind - a nice side effect when using your skin care products! Maranta Arundinaceae (Arrowroot) Powder Arrowroot or arrowroot starch is a powdery product extracted from the roots of the arrowroot plant Maranta arundinaceae. 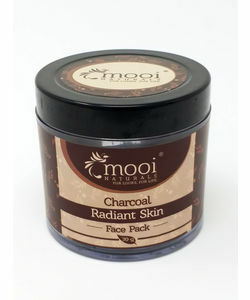 Arrowroot is a lightweight, odourless, white powder and turns skin silkier and smoother,when applied.It has great moisture-absorbing qualities and enables active ingredients to penetrate the upper levels of your skin.Arrowroot has great healing qualities as it helps dry blemishes, rashes, ulcers and wounds.